THE EXPERT, THE ARCHITECT, THE SCIENTIST; the heartbeat, the metronome, the brain. Endless adjectives, analogies and appellations have been summoned by fellow professionals in sincere yet scant attempts to describe exactly what Xavier Hernández was in his prime, the ways in which he kept the beautiful game beautiful, and what unique qualities he spent the best part of two decades bestowing upon the few teams fortunate enough to have held him tentatively within their privileged ranks. Fitting though many of those comparisons may seem, it is with an almost comical inevitability that they fall short of their subject. That is because in so few cases have words ever done justice to the man. Xavi’s unparalleled brilliance existed beyond the words and the numbers, out of reach of post-game reports and superficial statistics. His genius was found among the nuances, between the lines, at the very point where mind meets body and thought becomes action; where the three-stop journey from vision to intention to execution is made at such speed and with such accuracy that it becomes almost intimidating. 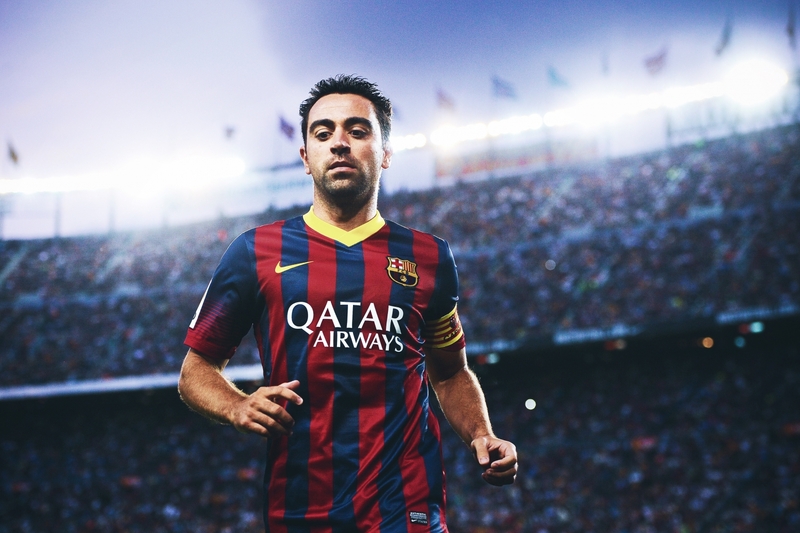 Xavi’s was, to all who watched him play, the making of a yard of space with the deftest of shoulder drops; the advancing with the ball more effortlessly than without it and knowing exactly when to offload and move again; the uncovering of the pass you didn’t see – the pass that nobody else saw – and having more than enough by way of technique to make it. Spellbinding illusions in the eyes of the open-mouthed masses. Simple parlour tricks to the greatest playmaker the game has ever seen. It’s an odd, almost blasphemous feeling imagining Barcelona without Xavi and vice versa. 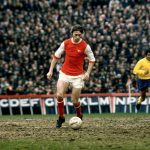 Yet were it not for a remarkable level of persistence for a young boy, and one unforgettable trial, the player and club in question, so deeply entwined though they may be in each of our minds, could well have plotted diverging paths. Xavi first appeared as a small but significant blip on the Barcelona radar aged just six. Seen playing by the club’s director of youth football Oriol Tort, Xavi was said to have charmed the distinguished observer with the closeness of his control and the dexterity of his passing but left him less than convinced by his physique and stature, or lack thereof. Exactly what Tort was looking for, stature-wise, in a six-year-old remains a mystery but, by the time Xavi reached the age of 11, he had been convinced to give the boy a trial. During said trial Xavi scored a hat-trick, perhaps the only hat-trick he’d ever scored, and his reward was his very first Barcelona contract. Only after the so-called trial did Xavi’s father admit to him the contract had already been signed. Xavi’s sweet 16 was toasted by his progression into the Barcelona B team, for whom he turned out in promising fashion for a little over a year before earning a promotion to Louis van Gaal’s senior squad to rub shoulders with the likes of Patrick Kluivert, Jari Litmanen and Rivaldo, in addition to future managers Pep Guardiola and Luis Enrique. The Barça faithful were first given a glimpse of their future star, all wide eyes and enthusiastically coiffed fringe, in a Copa Catalunya fixture on 5 May 1998 away to Unió Esportiva Lleida. 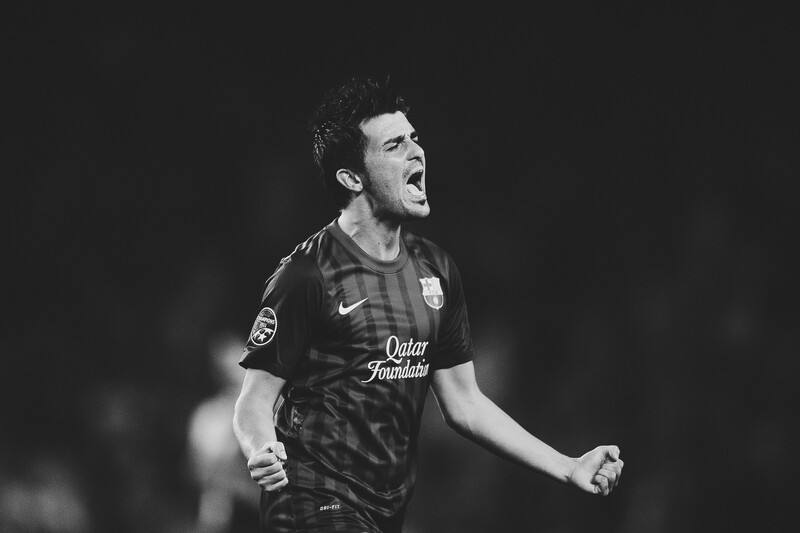 Far from representing the first step along the road to a golden era spent in the reaches of his boyhood club, laden with the type of successes he’d dreamed of as a boy, the type we all have come to associate with Xavi and his celebrated collaborators in recent years; following his side’s La Liga triumph of 1999 came five unthinkably barren seasons. His club’s fortunes worsened further when, in 2001, the masterful Guardiola vacated the Catalan midfield, swapping Barcelona for Brescia, and the not-so-simple task of replacing him naturally fell to Xavi. Sadly, in a team of decreasing quality and wavering philosophies, Guardiola’s absence did not go unnoticed and the fresh-faced Spaniard shouldered much of the blame from discontent Culés, so much so that even notching his first El Clásico goal – in March 2002 – wasn’t enough to stop Xavi being christened Parabrisas (meaning ‘windscreen wiper’) by his own fans; the less than flattering nickname imbued upon him on account of his persistent sideways passing. It appeared as though a starring role at the centre of the Barcelona midfield may well have been beyond Xavi’s juvenile talents and a move out of the Catalonian pressure cooker, eastbound for Italy, was said to have progressed beyond the preliminary stages. Then, in 2003, the winds of change danced between the soaring spires of the Sagrada Familia and a renewed sense of optimism slalomed through the marching feet along La Rambla. Joan Laporta became club president and installed Frank Rijkaard as his club’s manager. 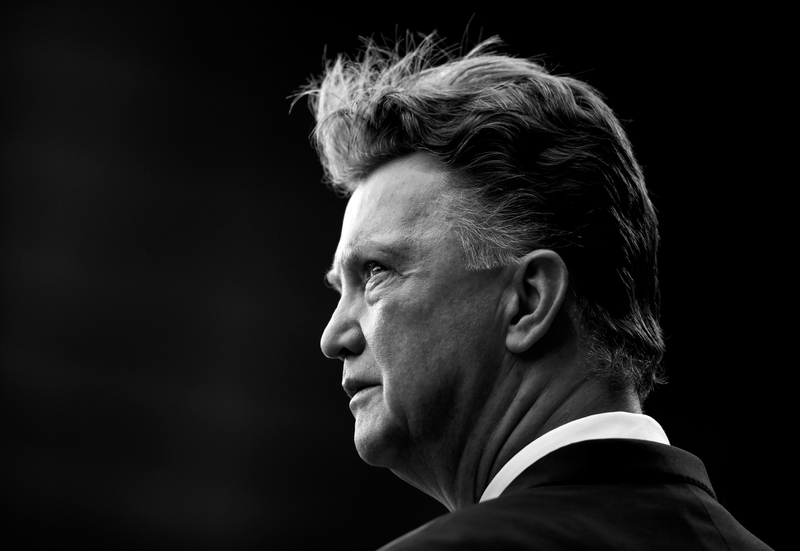 The Dutchman quickly recast his squad and reimagined their application in a more liberated 4-3-3 formation, and over the course of the two subsequent seasons the club replotted their future in a fashion few would have dared to predict. Cue la revolución de Barcelona. In their first season under Rijkaard, Barcelona finished in second place, bested only by Rafa Benítez’s Valencia. In their second season, after an excruciating six-year wait, Barça were champions of Spain once more. 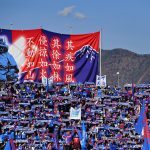 Helped immeasurably by new faces and new ideas, on and off the pitch – as the introduction of Laporta and Rijkaard was swiftly followed by the acquisitions of the vastly influential Ronaldinho, Deco, and Samuel Eto’o – there was one familiar face in particular whose expression had been altered most noticeably. No longer wearing the grimace that his team’s prior performances deserved, no longer the windscreen wiper, Xavi’s beaming grin told of his relief, delight and pride all at once. He had proved invaluable during their latest domestic triumph. Still, if he thought the going was good in 2004 he clearly had no idea of what was yet to come. This was, there is no doubting, only the beginning. In 2005 Xavi was named his club’s vice-captain, fair reward for his still-burgeoning influence and apt representation of the club’s deep-rooted identity, and if his team’s winning of the previous season’s league title hadn’t quite heralded in a new era for Barcelona then his being named as an integral part of their ambitious hierarchy certainly would. After all Xavi would outlast Laporte and Rijkaard and still success would come his team’s way. 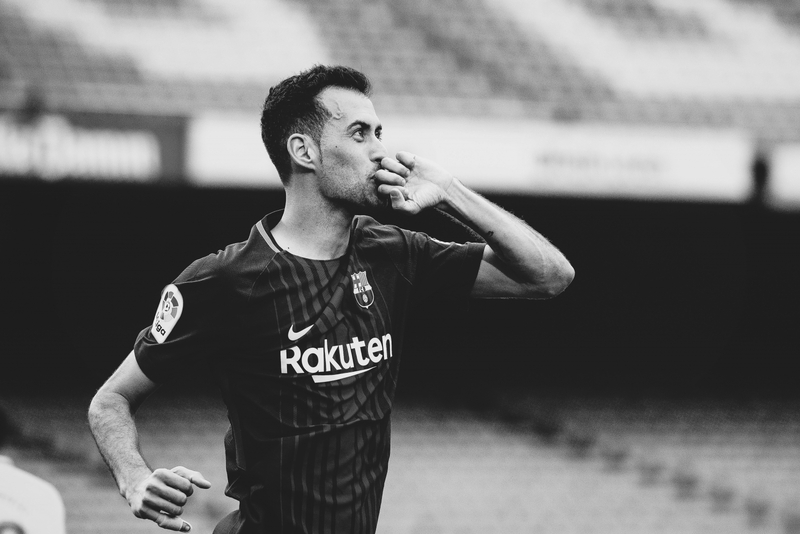 Read | In the pantheon of modern-day greats, where do Sergio Busquets’ unique talents rank? Barcelona began the 2005/06 season with victory in the Supercopa de España – a 4-2 aggregate triumph over Real Betis sufficient to see them begin the new campaign with silverware in their hands. Fortunately for Xavi, the weight of the Supercopa did nothing to slow his team down. Instead, it simply afforded them another taste of success, one they were irrepressibly keen to revisit, to savour again. Barça proved insurmountable in La Liga once more, Rijkaard’s men retaining their title with a points gap between themselves and closest rivals Real Madrid three times the size of the previous season’s. Try as they might, Madrid’s latest crop of Galácticos could perform only a poor imitation of their cross-country rivals. More telling in the story of Barcelona’s grand revival, though, was their European conquest from the same season. Defeating Arsenal 2-1 in a grandstand Champions League final in Paris, Barcelona secured their first European title for 14 years. The press were duly briefed: Barça were back in a big way. But the following two seasons defied expectation. Though the ink was still damp in the paper’s stories telling of Barcelona’s return to the big time, still tipsy were Barça’s players from the impressive double that had formed the latter half of their back-to-back league titles. As a result, Xavi and co. were overtaken by Real Madrid. Bar one additional Supercopa title, won at a canter against local adversaries Espanyol, Barcelona were denied major silverware for another two years – both league titles being collected by Real, the Copa del Rey finding homes in the trophy cabinets of Sevilla and Valencia, and the two years’ European titles making stops in Milan and Manchester respectively. Barça’s untimely reversion to mediocrity sat uncomfortably with Laporte, who was far from willing to trade away his club’s newfound dominance, and as many had predicted, Rijkaard was given the axe. 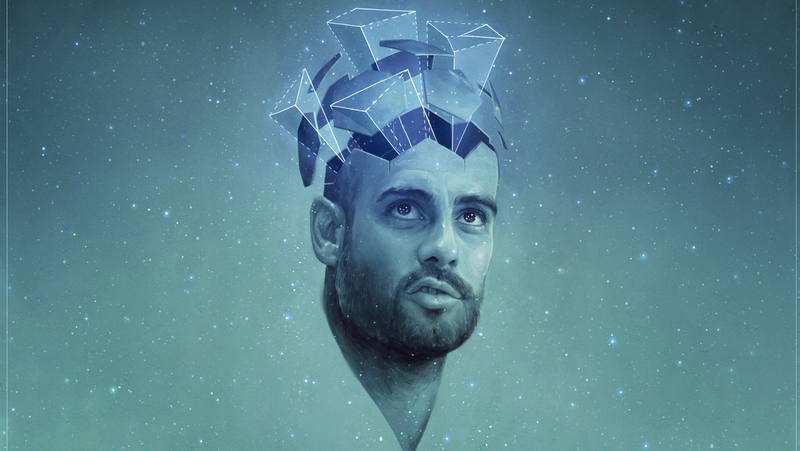 In his place, in lieu of a host of high-profile managers widely touted for the position, Pep Guardiola, with only the experience of a year managing Barcelona’s reserve team, was named manager. Divisive though the bold decision to hire Guardiola was, it would undoubtedly prove to be an inspired one. However, in the early days, what his appointment meant for the stalwarts of the Barcelona squad was unclear, particularly as Ronaldinho, Deco and Eto’o, three of the most influential players during the Rijkaard era, were to be swiftly offloaded by Guardiola. And so the stage was set for Xavi to conduct the club’s second era-defining revival in four years. But first he would travel with his countrymen to contest Euro 2008. As a boy, willingly handing himself over to the sport he would fall only deeper in love with as his obsession grew, it was no fellow Spaniard that would catch a young Xavi’s eye and lead him further beyond the white line into the all-consuming world of football. Instead, that honour would fall to Matt Le Tissier, Paul Gascoigne and John Barnes, a seemingly unlikely British trio to whom Xavi couldn’t help becoming ever increasingly enamoured by as they headlined the English football reruns that found their way into the Hernández household by way of their modest television set in early 1990s Catalonia. Xavi did not actively model his own game after those he adored watching as a child, nor would he achieved fame from scrawling his name across scoresheets in quite the same way as his idols. But Xavi, even with his rather less buccaneering approach, would certainly come to dictate the tempo of games, and wield their outcomes to his want and will, in much the same way. This was never more evident than during the period of success – in which Xavi proved instrumental for both club and country – sparked by his memorable performances at Euro 2008. Spain had long since struggled with their own issues of enforced mediocrity and delusions of grandeur often haunted their floundering fortunes. On many occasions Spain had travelled to major tournaments with squads considered more than capable of securing the grand prize, but since their European triumph of 1964, had failed to do so. Aragonés’ men began the tournament in style, dispatching of Russia, Sweden and Greece in the group stage before circumventing a near-disastrous quarter-final exit on penalties versus old foes Italy. Russia awaited once more in the semi-finals, and much like in their first meeting in the tournament were defeated comfortably. All that stood between Spain and an international acclaim 44 years in the making was Joachim Löw’s Germany. The final was predictably tense, played atop a field practically undulating with nerves, and in the end was to be decided by just a single goal, one crafted, rather fittingly, by Xavi. Having received a pass from Marcos Senna, Xavi’s neat first touch was taken on the turn, opening his body and his field of vision to the acres ahead of him into which Fernando Torres instinctively darted. Played with a deft weight and expert timing, Xavi’s through-ball dissected the German defence, sending Torres on towards goal. The forward dinked the ball over the stranded Jens Lehmann to give Spain the lead and, after an hour’s determined defence, the European title itself. Lifting the famous European Championship trophy aloft, before a 50,000 strong crowd in Vienna, never before had it been so apparent just how far Xavi had come. Far gone were the days of being called Parabrisas by those unconvinced by his ability. So far, in fact, it was time for a new moniker: ‘Maki’ – short for maquina, meaning ‘machine’ – the nickname of choice from his adoring compatriots, fitting for Xavi’s rebirth. Over the eight years that followed, at both domestic and international level, Xavi would come to know the euphoria that only achieving your every professional ambition can bring with a unique intimacy, as his teams’ successes would prove truly unprecedented. Upon returning to Barcelona, his Euro 2008 winners’ medal draped proudly around his neck, Xavi picked up straight where he had left off: a mainstay at the heart of his team and on course for history. With Guardiola at the helm, the good ship Barcelona hit stormy waters soon after leaving port, with an opening day loss to Numancia followed by a disappointing draw at home to Racing Santander. But with mistakes out of their system early, Barcelona went on to win 19 of their next 20 league games, opening up a vast chasm between themselves and their rivals at the summit of the league. The team’s incredible form was far from restricted to only their league campaign. In their quest to secure both the Copa del Rey and Champions League crowns, Barcelona marched on unabated by their every challenger, and by the final weeks of the season found themselves with an insuperable lead in La Liga and with a further two finals on the horizon. 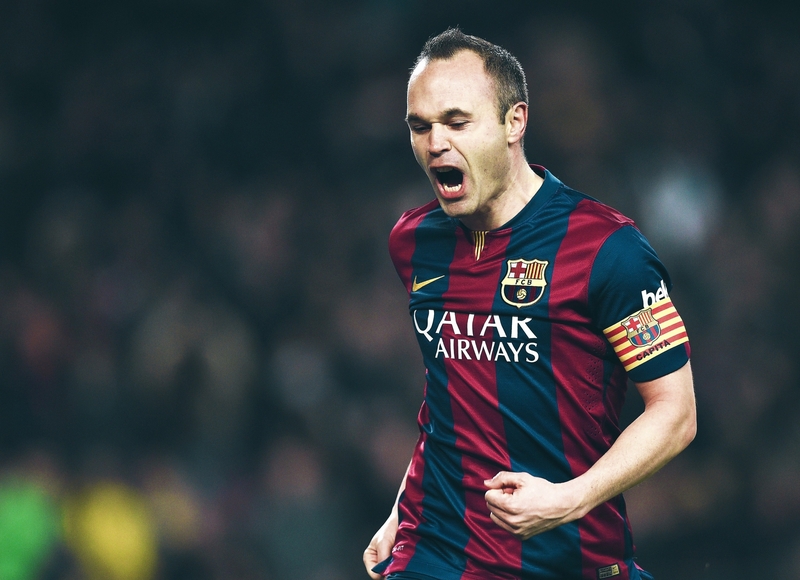 Even with their foot off the pedal in the closing stages, Barça won the league title with a nine-point lead. On 13 May 2009, in the Copa del Rey final, despite falling to an early goal, Barcelona defeated Athletic Club 4-1, with Xavi gracing the occasion with his side’s fourth and final goal. Two weeks later, in the Champions League final, Xavi orchestrated a man of the match performance as he helped his side to another European title, defeating Sir Alex Ferguson’s Manchester United 2-0 on the night. The very next season, the 2009/10 campaign, Barcelona won La Liga again, having already added the Supercopa de España, UEFA Super Cup and Club World Cup to their trophy cabinet to complete a unique sextuple of trophies for the calendar year. On an almost weekly basis, Xavi and his teammates were rewriting history with addendums few considered possible. Come the record-breaking season’s end, Xavi was called to action by his country again for the 2010 World Cup in South Africa. Had he been hesitant in the slightest to represent his nation, it is likely Spain boss Vicente Del Bosque would have insisted upon conscription, such was Xavi’s importance to the team. Xavi though, couldn’t have been more eager to continue his form with his compatriots. The favourites of pundits and fans alike, reigning European champions Spain were heavily fancied for the tournament. However, they were shocked in their opening fixture by Switzerland and succumbed to a shock 1-0 defeat. The night of their opening day defeat Xavi found it impossible to sleep, his mind refusing to settle and instead only projecting the forsaken fixture on loop against his closed eyelids. So Xavi got out of bed, turned on his television, and watched it back for real. In the morning Xavi went to Del Bosque’s room first thing, where he found his boss tired from having spent his night doing the very same thing. Del Bosque was adamant they shouldn’t change a thing and Xavi agreed, calling it “pure chance” they lost to Switzerland. “We carried on the same road, knowing we’d be criticised, but every game became a final.” If Xavi had learned one thing by that juncture of his career, it was how to win a final. Staying true to their intricate, possession-based tiki-taka style of play – a methodology the pass-and-move-adoring Xavi naturally thrived under and had helped to broadcast internationally to great success with both club and country – Spain turned their early disappointment into their greatest inspiration. They felled Honduras then Chile to qualify from their group, then defeated Portugal, Paraguay and Germany, each time 1-0, en route to the final. In a most barbaric final in Johannesburg, Spain faced the Netherlands and, though they had to call upon extra-time to break down the Oranje wall, 1-0 was again enough. Two years on from their European triumph, Spain had gone a step further, the final step of them all, becoming become world champions for the first time in their history. But for a 25 minute rest against Honduras, with the game already won, Xavi was there at the nucleus of it all for every second of his country’s memorable tournament, cavorting around centre stage like a one-man-band, fulfilling a thousand duties at once – pulling the puppeteer’s strings, waving the conductor’s baton, laying down the architect’s lines. By the time Xavi had returned to domestic duties with Barça, Laporta had been replaced as Barcelona president by Sandro Rossell and this was to be the first of many changes in the Barcelona hierarchy over the coming years, as Rossell himself would be succeeded by Josep Maria Bartomeu in 2014. On the managerial front Guardiola, the fondly remembered Tito Vilanova, and Tata Martino would all come and go. Yet still, on the field, where he was at most ease, Xavi could be found in the stripes of his beloved Barcelona, his trophy haul rapidly growing at a rate only bettered by the still-growing reputation that would eventually precede him when his heady Barça days had finally come to a close. Between the final day of Guardiola’s 14-trophy reign and the very first of Enrique’s own celebrated era, Xavi and his teammates would claim just two more trophies. But before the ageing playmaker would seek to move onto pastures new, to sew the seeds of a new legacy in the Middle East, one final history-making hurrah awaited. In the 2014/15 season, Luis Enrique’s first as Barcelona manager, few so much as threatened to stop Barcelona from completing a clean sweep of competitions, and none managed it. In truth, Xavi’s influence throughout the season was relatively minimal, particularly when compared to many of his previous seasons’ contributions, though few needed to be at their best so long as they could look to the club’s three South American musketeers, Lionel Messi, Luis Suárez and Neymar, for inspiration, as the trio conspired to score a truly outlandish 122 goals between them during the season. 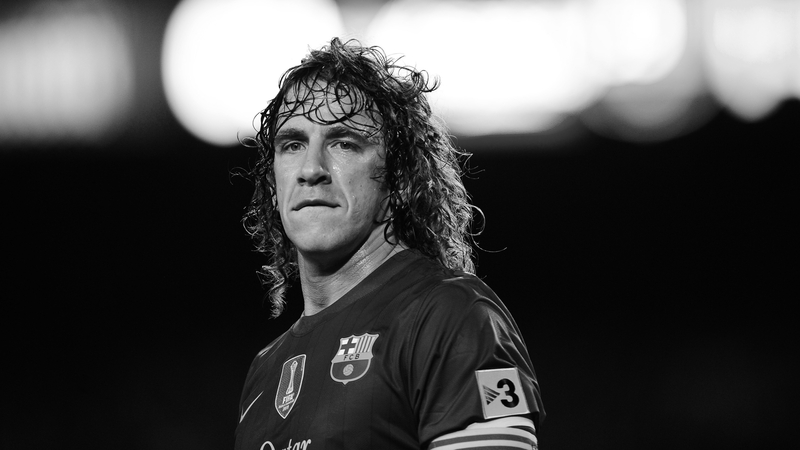 But with long-term captain and fellow club legend Carles Puyol retiring from the game in May 2015, Xavi was named the club’s principal leader and his team’s achievements for the season did sufficient justice to the honour. In the space of just 13 days leading into the summer of 2015, dreams wilder than those even Xavi could have left himself imagine were pieced together, win by landmark win, and his Barcelona farewell was made to be every bit as exquisite as the career it had the privilege of following. For the second time in his storybook career, Xavi was a treble winner, and this time the trophies were his to lift. Having played a part in constructing potentially the finest eras in the histories of both Barcelona and Spain, it goes without saying Xavi was blessed to have belonged to such supreme squads. But in his own words, “The one who has the ball, is the master of the game.” Never did the ball look quite so grateful to be at any one master’s feet than when in his possession. Xavi’s incredible career provides startling evidence of the stunning riches awaiting those who approach their game in the right manner, who match their ability with the effort to make their dreams a reality and who stand up to those who doubt them. Sadly, to the mere mortals watching on, clutching to the fading hope that perhaps they or at worst somebody they know could perhaps emulate the Spaniard, Xavi’s career also illustrates the incredible exploits available only to a player truly born to play and just what is capable when nature and nurture combine to such stunning effect. Like a lighthouse, always turning and always searching, a young Xavi once aimed a spotlight on the necessity of patience, humility and confidence to make it through the more rigorous requirements of the beautiful game. At its highest level, in his prime, Xavi shone brighter than his every contemporary on so many occasions, illuminating the path through choppy defender-infested waters towards goal, game after game. Beyond his Barcelona days, and even in retirement, cherished memories of Xavi, of which there are so very many, will no doubt continue to flicker like a determined flame, unwilling to be extinguished and refusing to be forgotten.